Maxwell Grantly is a non de plume for an anonymous school teacher, living in a small seaside town on the east coast of Great Britain. Although he has written nine short stories, he does not think of himself as an author. He is, first and foremost, simply a mathematics teacher. Maxwell does not write for an income and so he offers most of his work for free or at the lowest possible price that he can. He simply writes just because he enjoys doing so and for no other reason. Maxwell’s latest book is called “Runs Like Clockwork” and is a steampunk-themed story for older children. It tells the tale of a mechanical clockwork toy named River Falcon, lost in the fictional town of New Babbage. The toy becomes stolen from his clock-maker inventor and then encounters a number of adventures in his attempts to escape and survive in his new hostile environment. Without giving too much away, the story has a tragic bittersweet ending that will touch your heart. Many different people, events and circumstances combined to provide the inspiration for the story. Perhaps, most importantly, the author suffered the traumatic loss of his father to cancer in the weeks before the story was written. This private family bereavement must have shaped the plot of the story, even if it did so subconsciously. Maxwell enjoys reading a wide variety of books of different genres. Most importantly, he has always enjoyed the works of Roald Dahl and admires the ability of Dahl to break away from using a traditional mindset of typical children’s characters. He is currently taking a short break from writing, whilst formatting ideas for a new original story: a fictional children’s crime story based on the use of scientific principles to solve a murder. Maxwell understands that “word of mouth” is the single most important factor in the promotion of any book. How many books have you opted to read because a friend has recommended it to you or because you have read a positive review somewhere? If you enjoy writing, do it. Very few of us (including Maxwell Grantly) will ever sell more than a handful of tittles. New authors are joining a market that is already saturated with an incredible diversity of excellent titles – the competition is incredibly tough. If you don’t enjoy writing, do something else. Writing a book is like making love to an elephant. You have to be crazy to start! It’s an incredibly difficult task. You have to wait twenty-two months (usually longer) before you see the results of your labours. Finally, you may get killed in the process. Maxwell has only just finished reading “Grapes of Wrath” by John Steinbeck. He found it an incredibly absorbing and moving story and found the dire plight of the charters to be incredibly profound and inspirational. Maxwell’s next major writing project is the fictional children’s crime story mentioned above. It remains very early days and so it may take several months before this task is completed. Are you allowed to take four VERY large waterproof books and prop them upright to form the walls and roof of a shelter? Maxwell has always been an avid reader of literature, from early childhood. However, it is only over the past year that he has begun to write short stories of his own. Maxwell enjoys reading a wide variety of books of different genres. Being a school teacher, he reads a wide number of children’s books and has an extensive young adult library. Most importantly, he has always enjoyed the works of Roald Dahl and admires the ability of Dahl to break away from using a traditional mindset of typical children’s characters. Where did you get the inspiration for your most recent story? As an infant, Fingers was abandoned by his parents in the town cemetery one winter’s day. He was left alone, to fend for himself on the streets of New Babbage. Rescued by a strange guardian angel and taken to the sanctuary of an attic, he soon settled down to an impoverished life on the streets, shining shoes for rich gentlemen during the day and picking their pockets whenever he could. Fate bought him into contact with one strange man, wearing a beautiful pocket watch. When Fingers deceitfully gained possession of the watch, his life was to change in the most unexpected way. 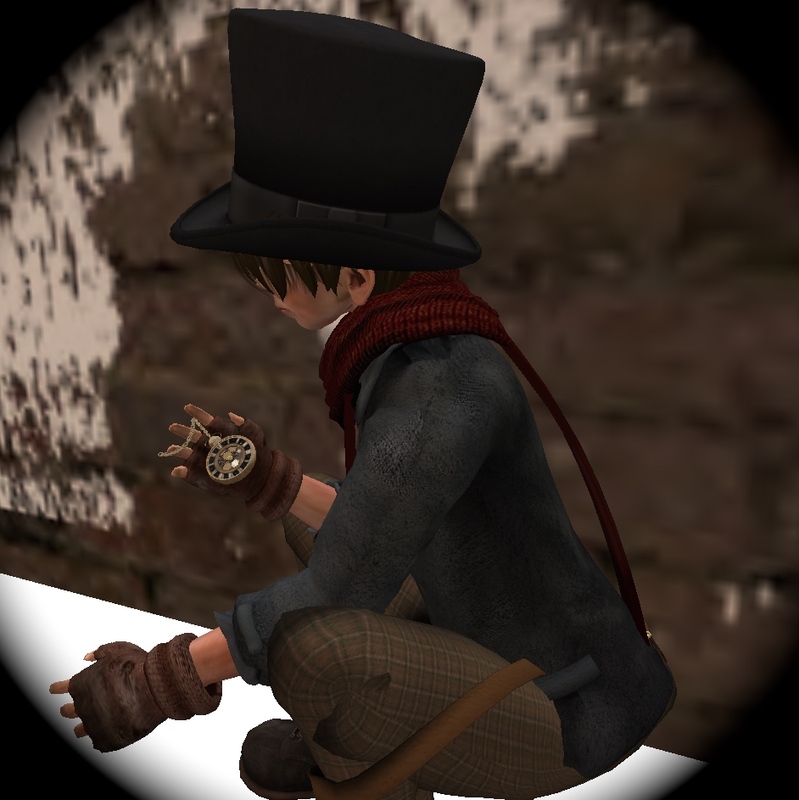 The theft of the watch bought him all sorts of new and confusing dilemmas and led him through the streets of New Babbage, in a futile attempt to make sense of his tragic past. Who was the stranger who became Finger’s guardian angel? What effect would the pocket watch have on Finger’s life? Will Fingers ever find closure with his grim upbringing? This new steampunk story by Maxwell Grantly has been composed in a lively comic format and has many beautiful illustrations that will enchant and captivate you.